Grenada made the biggest improvement this month by climbing 14 places to 167th. There were some other moderate increases. Comoros and Barbados fall back into the bottom group. 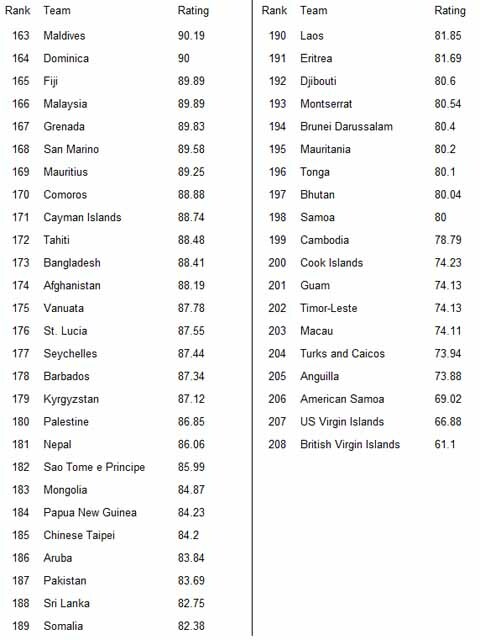 Comoros lost 16 places to go to 170th and Barbados lost 21 places to go to 178th. Palestine and Nepal were the two other teams from this group with significant falls losing 11 and 10 places respectively.